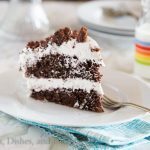 Poppy Seed Cake – a quick and easy cake recipe that comes together in minutes. 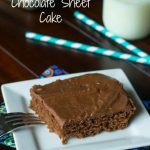 Moist, delicious, and great for dessert, or with a cup of coffee. Do you ever have those things on your list of things you want to make that for some reason you just never do? I have a couple of them on my list, and I can’t figure out why I never just bite the bullet and make them. I am trying to cross a few of them off my list this year. 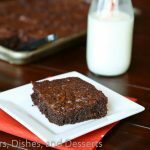 So far I made a crock pot dessert (Hot Fudge Crock Pot Brownies), kicking myself for not trying it sooner. And now this. 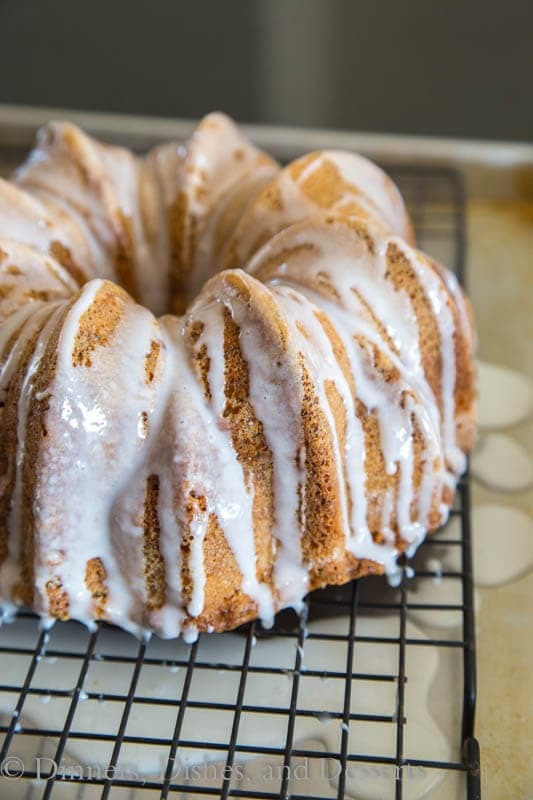 A cake in a bundt pan. Kind of a silly one, but what can I say, the stupid pan intimidated me! But I conquered it and it came out perfect! So yeah, for some reason a bundt pan has been intimidating to me for awhile. I asked for one for Christmas a few years ago, and received it. But it has just sat in my cupboard ever since. Staring at me every time I go in there. It was time I took control. And this poppy seed cake was the result. So easy! And look, it came out perfectly. I greased it like it was going out of style, and then also added a coating of sugar. Seriously, I am just shocked at how easy the cake came out of the pan. I worried and put it off for no reason at all! Plus the sugar gave the poppy seed cake a really nice crust. This recipe was given to me by my friend, Suzanne. She makes it for all the new neighbors that move onto her street. How nice is that, I want to move to her street! 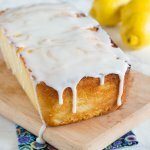 I added a little glaze when I made it because I am all about frosting! And if you really want to mix things up I think adding a little almond extract to this poppy seed cake would be amazing. 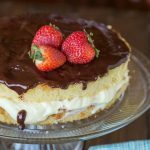 The cake is light, airy, and delicious. Plus super pretty with all the poppy seeds running through the cake. 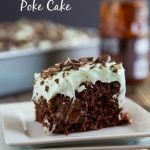 Poppy Seed Cake - a quick and easy cake recipe that comes together in minutes. 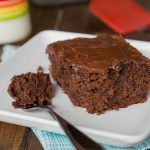 Moist, delicious, and great for dessert, or with a cup of coffee. Preheat over to 350 degrees. Grease a bundt pan very well. Also dust with a coating of granulated sugar. 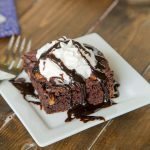 Mix all of the ingredients for the cake together in an electric mixer for 2 minutes. Remove from the oven and let stand for 10-15 minutes. Turn over onto a wire rack to cool completely. If use the glaze, mix everything together. 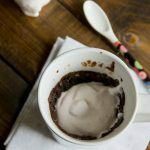 Pour over completely cooled cake. 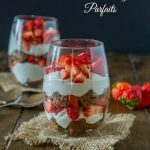 This looks like a great breakfast option! Yum! You can’t even imagine all the things on my “to make” list! This cake is lovely, and it’s the perfect “welcome” gift — or dessert to enjoy at home! Congrats on tackling one of your items! Very pretty! I have a bundt pan that I never use either! This cake looks so fantastic! I’d love to give it a try! My Mom absolutely loves poppy seed anything! I need to try this cake for her next visit! Beautiful! 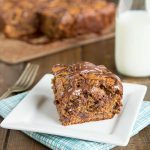 One of my favorite muffins in cake form – love it! Cute video! I want some poppy seed cake now! I love Bundt cakes, and what a nice idea to have a cake for new neighbors. My husband adores Poppy Seed Cakes, so this one will soon make an appearance on our table. Thanks! I love this cake! 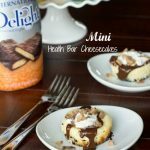 So creative and easy! 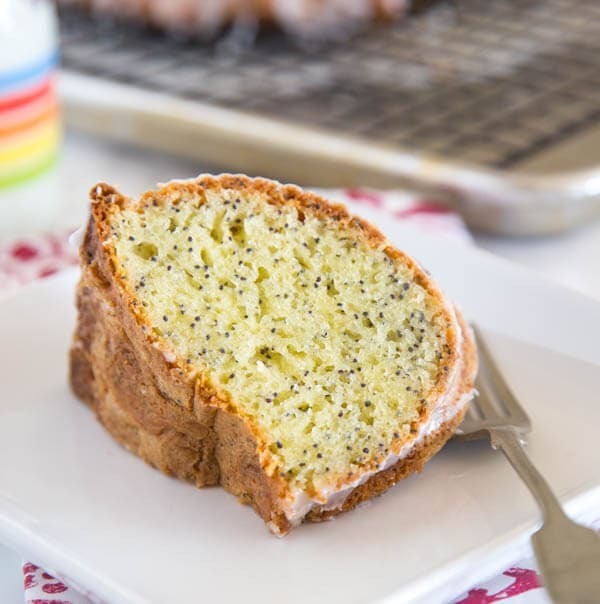 This cake is so perfect, though, and I love poppy seeds! 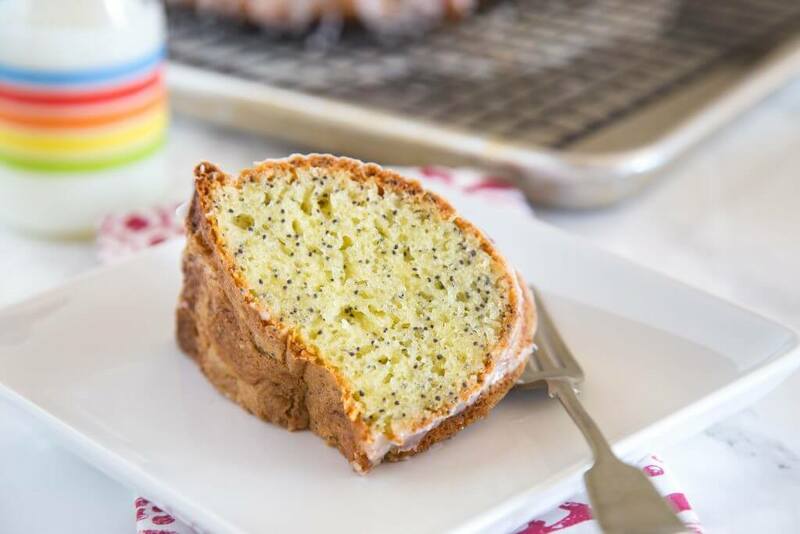 I love poppy seeds and the crumb on the cake looks like perfection! 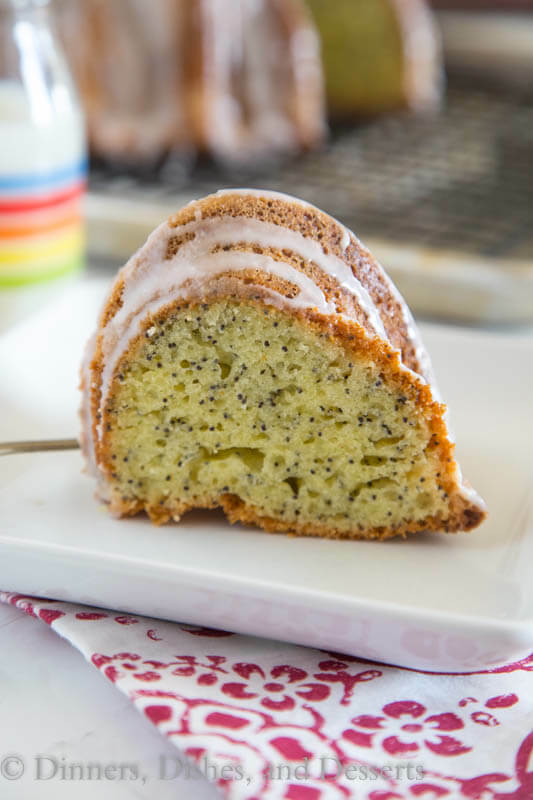 What a great looking poppy seed cake and so easy to make, I can see myself making it very soon! Thanks, fos posting recipe for poppy seed cake. It was so delicious.